One of the worst things about social media is the lack of privacy that we all have. Social media makes it easy for others to say things about us that are not always positive or that we may not want others to know. When this situation does occur, individuals and businesses alike look for ways to remove the damaging information from sites in order to preserve their reputation. However, this is extremely difficult to do and with the many places where information can be posted finding everything can be even more difficult. Luckily, there are reputation management companies that can help manage these issues. Below are the top reasons that you should rely on a reputation management company. Many businesses do not realize that managing their online reputation can actually improve their sales. With the wide range of information is now posted online, people are now relying on information they find on the web to learn more about products and services that they are considering buying. If something is posted negatively about your business or product, they may choose to go with another company or product. It is difficult to keep up with everything that is posted about you online. There are also many different areas that people can post things such as comment negatively on your blog or post something negative on their Facebook status. If you are trying to keep up with this information on your own, you may find that it is extremely difficult to manage. With a reputation management company, you will be able to be confident that any negative comment is being addressed when it is posted. Knowing what is being posted about you online can actually help you to improve your company from the inside. When a reputation management company provides you with information regarding negative posts about your products or services, you will know the exact areas that you should focus on improving within your company. This will give you a direct line to your customers so that you always know what it is they are looking for and the ways that you can improve. Even individuals have found benefit with a reputation management company because they are able to improve their appearance online. By relying on a workstation management company, they are able to know what has been posted about them and what potential employers may see when they conduct their research for a position that they have applied for. This can be extremely beneficial for individuals who are in the job market or need to have a better online appearance due to business or personal transactions. Another way that reputation management companies can aid companies and individuals is through correcting information that has been posted online that is no longer accurate. If there is outdated information listed online about a company or person, that information makes the company lose credibility amongst their potential customers. Correcting that information can be very important to maintain your status in your industry. There are many locations throughout the Internet where negative things can be posted about a company or an individual. It becomes extremely difficult for one person to handle the management of all these different locations simply because you may not be able to find them all. A reputation management company can make that process simple or by providing you information as to where to look regarding your online education. Although the erasing the information is not possible, reputation management companies are able to help you manage the information and to move it further down in searches so that the negative information is harder for others to find. The most important thing to remember about online reputation management is that the sooner you begin the process of repairing your online reputation, the better. With the expertise that a reputation management company has, you will be able to save money in the long run because it is much easier to prevent a reputation disaster than to prepare one that has already occurred. With the popularity of social media and the internet in today’s world, a bad reputation is easy to come by. 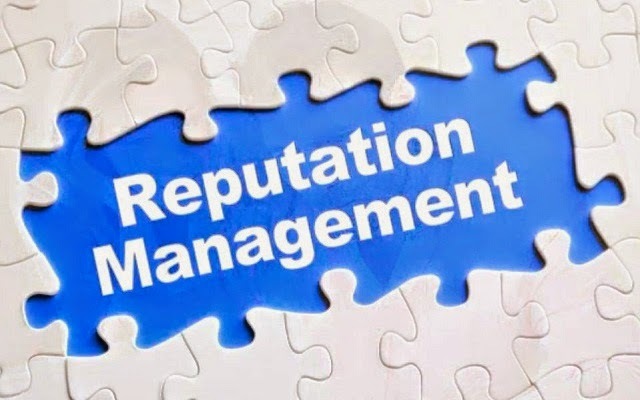 However, by trusting in a reputation management company, you will be able to manage the way you or your company appear online and will be able to prevent issues from happening, which effect to your business or online reputation. Hersh Davis-Nitzbergcontributed in this post. He is the Managing Director of http://repairbadreputation.com/.